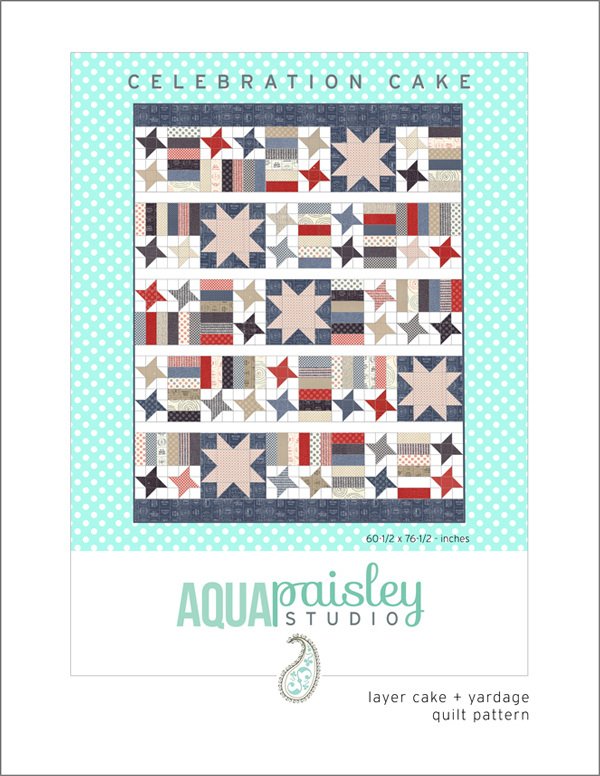 Celebration Cake is one of those quilts whose story is a little more complicated! But I will give you the abridged version – under one condition… NO ONE is to take offence at anything they read here…okay, now that we have established the ground rules, I will continue… ;). The lovely people at Moda sent me some Layer Cake samples back in the middle of 2016. When they arrived on my doorstep I was so excited, because I LOVE MODA!! I also have a really small budget for fabric, which meant I was both humbled and grateful for their generosity. One of the Layer Cakes in the box was Freedom by Sweetwater. I do love Sweetwater fabric. In fact I spent this months fabric budget on a Layer Cake of their new collection Sunday Supper (which I am dying to cut into). 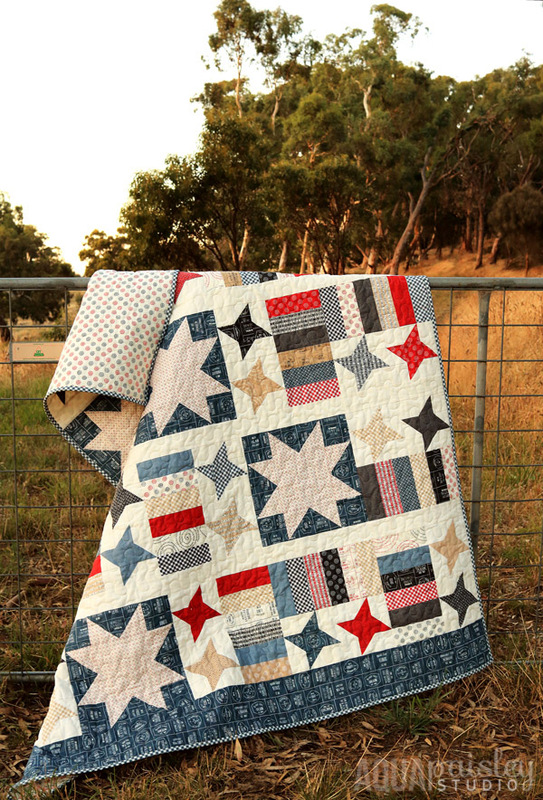 BUT, Freedom seemed to be American patriotism in 10-inch squares, and holding that Layer Cake I wasn’t sure if me sewing with it (the English-born, Aussie girl), would just be weird!! 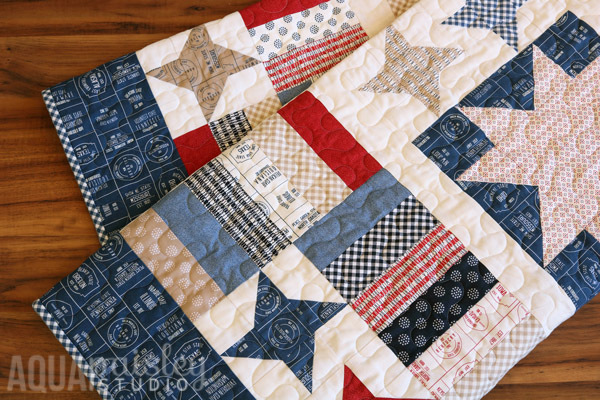 I felt the same way about Camille Roskelley’s Stars and Stripes quilt pattern that was so popular – I really wanted to make one because the quilt is so cute – but, you know…weird?! Fast forward to the recent US election, and all of a sudden I had a reason to sew with Freedom. One of the things that stood out to me at that time was the grace in which many Americans reacted to these sometimes hurtful and generally unnecessary opinions from those who most likely thought they were being comical! I wanted to celebrate THAT and cheer these people on for being the best example of humility and kindness. But I am not one to get into the fray during such discussions; I am the type of person who observes, and prefers to share my views in less confrontational manners – like through quilts ;). And so I made a quilt! 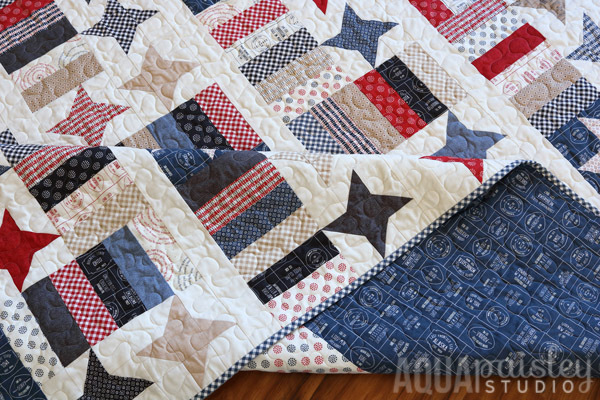 An American quilt!! 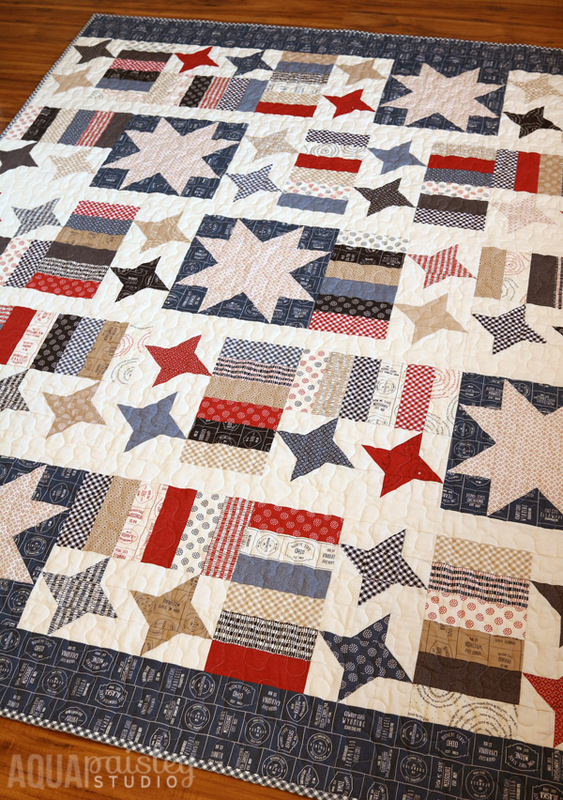 So while I am not American, I am glad to know many who are through our online quilting community, and I wanted to celebrate amazing people and all the good things that come from a great nation. And because I am celebrating some of my favourite people a little closer to home this month, I am offering each of you a discount code on any purchase in my shop, valid until March 20, 2017 – use the coupon code CAKE to receive a 20% discount on any PDF pattern. 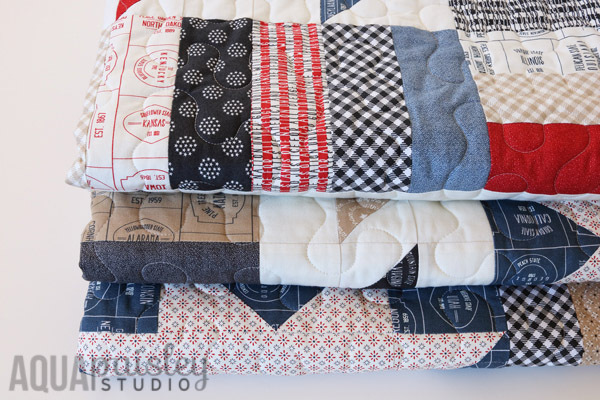 I hope you love making this quilt as much as I did – it’s fast and fun; and while it looks great in red, white and blue I think it will be great in many different styles – how about some 30’s fabric or even solids – gorgeous!! My friend Kim is planning on making it in Sugar Pie, and I am so excited about seeing it made from such a pretty collection :). Go. Cut, Sew. Create. And tell your story with fabric and thread. I love your quilt. It is very patriotic for us Americans. I can imagine it would be fun to make in Christmas colors, too. I am buying your pattern to make in 2018 possibly. 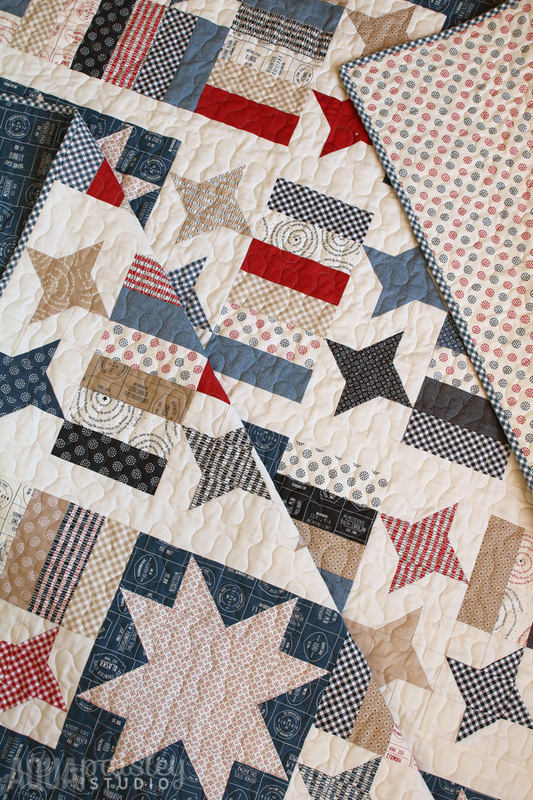 Samantha, enjoyed reading the backstory behind your pattern! Fun design! 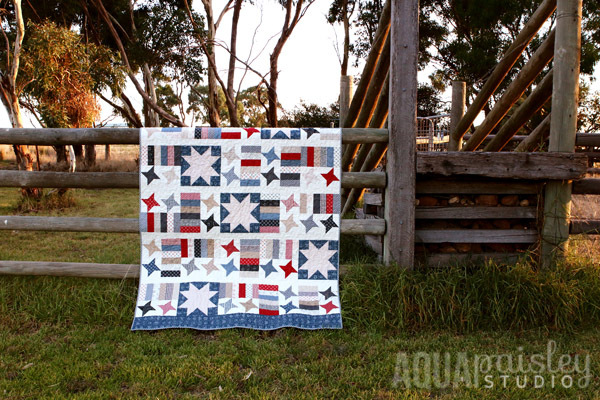 Lovely quilt, Samantha, and great story! I could point out that the people most likely to react ungraciously to criticism from another country’s citizens are also the least likely to pay attention to the opinions of another country’s citizens, but that would be a little rude. Anyway, I’m glad you decided to move ahead with your quilty show of support! Thanks Becca! It was certainly not a political statement in any way, merely an observation of the world at that time looking through my own perspective. It was very interesting to read this story & to hear how our election was perceived. You are very insightful. I am definitely a quiet observer Jeanne ;).